Every kid remembers their first compound bow, so make the experience one to remember with the 2019 PSE Mini Burner™! 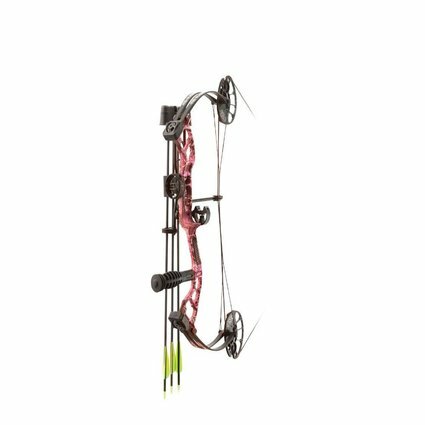 With a highly adjustable draw length range of 16” to 26-1/2” and an accessory package including a 3-pin sight, arrow rest, arrow quiver, stabilizer, and three carbon arrows, the PSE Mini Burner™ is the perfect first bow for any young shooter. Package Includes: 3-Pin Sight, Arrow Rest, 5-Arrow Quiver, 6" Stabilizer, and 3-Carbon Arrows. DRAW LENGTH RANGE: 16" – 26 1/2"